Everyone is going crazy with the drones, and companies like Amazon have already obtained authorization for use and is testing them to make deliveries in cities around the world. But what if the future of these automatic deliveries passing over takes them flying but to do so at ground level with a similar car to the autonomous system? The company Starship, created by ex-founder of Skype Ahti Heinla, has developed a small robot that promise us that it will be capable of bringing to us the buy up to the door of our house. It is a small electric vehicle driven himself, and circulating through the streets at the same speed as pedestrians, just over 6 kilometers per hour, to avoid surprises. According to London-based Company, in addition to a navigation robot system it also has software to avoid obstacles, what turns it in autonomous. 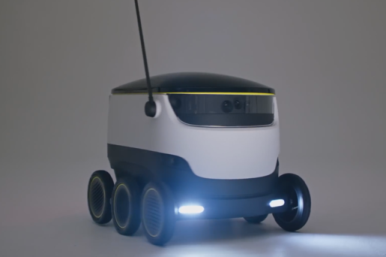 Once this local delivery robot comes with our order we can use an app on our mobile phone to know where it is, and will also have a system so that only we can unlock its cargo compartment. In essence it seems that the only difference between this and drone robot is that instead of waiting with the window open, we have to do it in the door, although according to Starship their system will make shipments between 10 and 15 times more economic than the current alternatives. They also boast that their vehicles to be electric will have no impact on the environment. Also, to reassure those who are not legit end of autonomous systems, and the way to ensure the smooth operation of the entire fleet, there will be a human operator who will be watching and controlling. The company intends to implement a pilot service of its robots in several countries from the next year. That’s when it has to face some of the doubts that arouses its proposal, as having any real advantage over drones or how they fine to prevent criminals from stealing the entire robot when they are circulating to get the goods that are being transported.